This blog is designed for beginners those want to learn C programming. In this blog you can learn: C tokens, Operator in C, Pointers in C, C functions, Data types in C, Union in C, Strings in C, Structure in C, Array in C, Dangling pointer, Double pointer, Types of Pointers in C, Storage classes in C, Memory layout of C program, Dynamic memory allocation, preprocessor in C, Function pointers in C.
While loop and do while loop in C is similar, the basic difference is that the test-condition in the while loop checks on the initial stage whereas in the do-while loop, the test-condition is defined at the bottom due to which the do-while loop runs at least once. A Program which prints the value from 1 to 5. In the above program, the variable 'i' is initiated to 0. Now, the loop body is executed at least once. Variable 'i' is incremented to 1, after that output is printed. Now, test-condition (i<5) is evaluated, if this condition is true then output is occurring otherwise. In the for loop, we know how many times a loop will execute. While we did not know how many times a while loop will be executed. 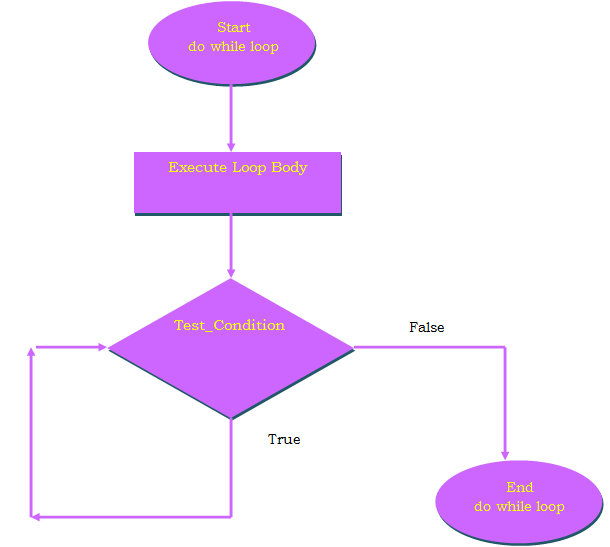 Execution of while loop is based on the test condition. While loop will be executed until the test condition is failed. First, the test condition inside the parenthesis is evaluated. If the test condition is true then while loop body is executed until the test condition fails. The test condition may be any value (true or non-zero) or any expression. A program which prints the value from 1 to 10. In the above program variable 'value' is set to '1'. Execution of while loop is started. 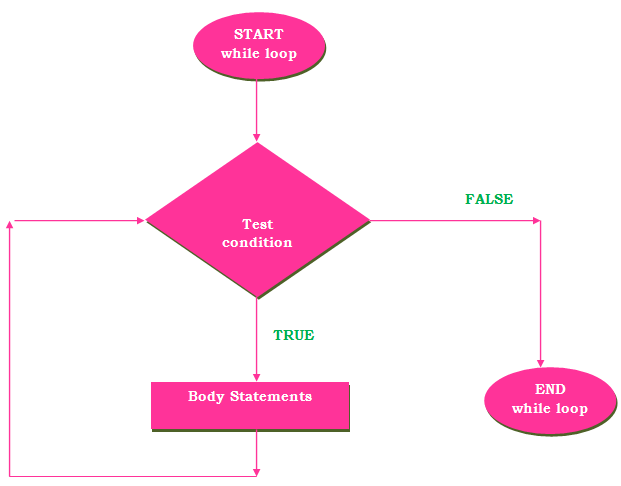 If the test condition is true then the statements inside the loop body will execute i.e. print statement and post-increment statement. This loop will execute until the test condition (value<=10) fails. C program to print the table of 3. 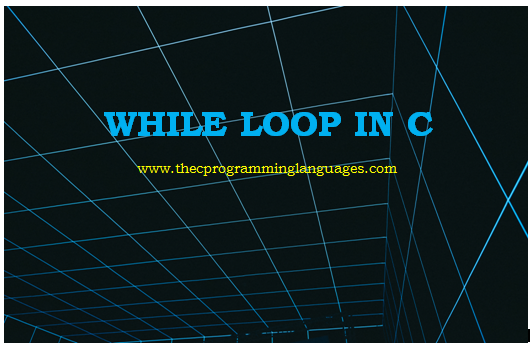 Like relational operators, logical operators can also use in the while loop in C.
The loop body will execute when both conditions are true. The loop body will execute if the anyone test condition is true. The loop body will execute if the variable 'a' is does not equal to 'b'. What will happen when the test condition in the while loop has zero value? 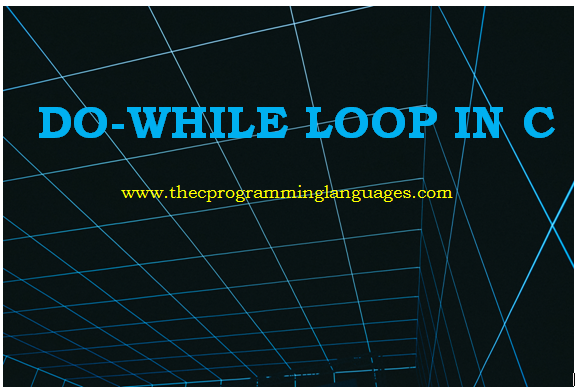 while(0) //Zero value is considered as false value, so the loop body will not execute. To understand the concept of dynamic memory allocation in C, first, we need to understand why we need it? Whether we talk about the C programming language or some other programming language, there are some rules for every programming language. C is a structured programming language and it has some fixed rules. Let's try to understand that need and concept of dynamic memory allocation in C with the help of array. An int is of 4 bytes, 100*4 = 400 bytes are reserved in memory. If you want to store details of 70 employees, you can do it but 30 memory locations will be wasted and if you want to store details of 120 employees, you can store detail of 100 employees, but details of 20 employees are not saved. Are you thinking that why this is happening? This is happening because we have used the concept of static memory here if we want that memory should be allocated at the time of execution of the program. So, Dynamic memory allocation concept meets our needs. Let's try to understand this concept. What is Dynamic Memory Allocation in C? 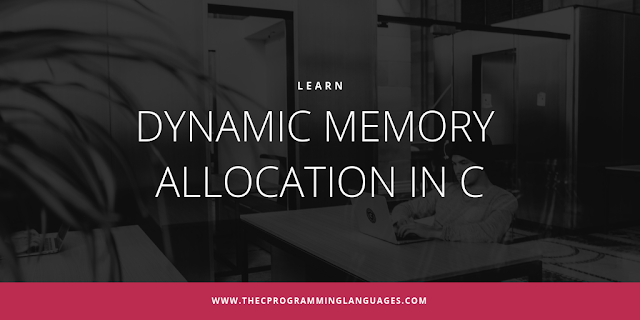 Dynamic memory allocation in C helps us to allocate memory during runtime of the program. The dynamic memory allocation is done by using the standard library function <stdlib.h>. 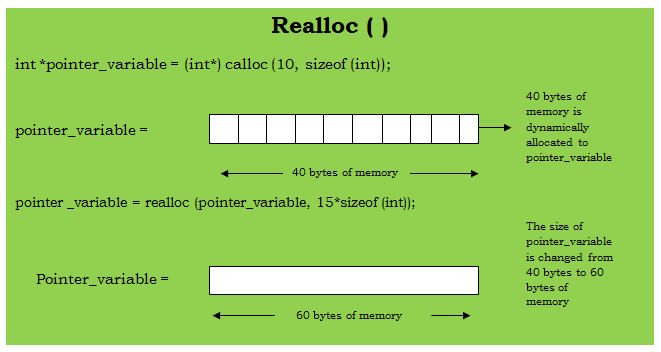 This library function consist of malloc (), calloc(), free() and realloc() function in C.
"malloc" or memory function allocates a block of memory of specified size. It returns a void pointer which can be used in a pointer of any form. We know that the size of the integer data types in C is of 4 bytes, the above statement allocates 120 bytes of memory and pointer_variable holds the address of the first byte of the memory block. If 40 bytes are not available in memory that means insufficient space then memory allocation fails and it returns a null pointer. int *pointer; // This pointer will hold the address of first byte of allocated block of memory. //Number of elements in an array. 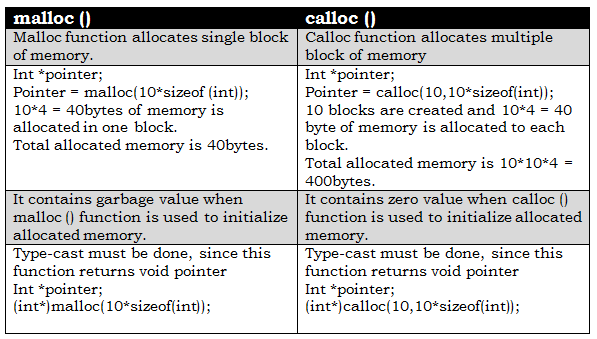 "calloc" or contiguous allocation is used to allocate the block of memory during runtime of the program of the specified size. Every block of memory is initialized with default value zero. The above statement contiguously allocates 40 bytes of memory for 10 elements and each element is of 4 bytes. 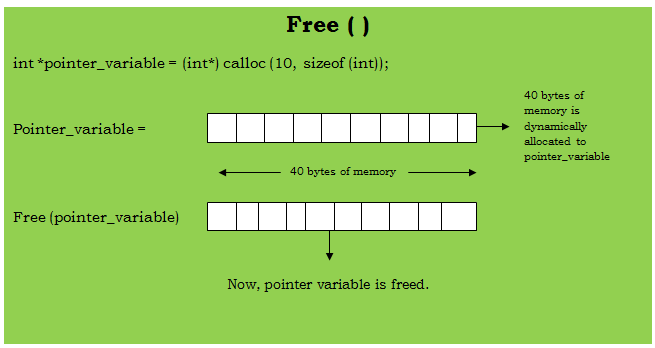 Dynamic memory allocation in C using calloc ( ) function. int *pointer; //This pointer will hold the address of first byte of allocated block of memory. This function is used to de-allocate memory. Calloc ( ) and malloc ( ) function does not de-allocate memory by themselves. So, the free ( ) function is used, it reduces the wastage of memory. Free allocated memory using the free ( ) function. "realloc" or re-allocation function is used to change the allocated memory. If the memory allocated by calloc and malloc function is insufficient then the realloc function is used to re-allocate memory dynamically. 1. In static memory allocation, memory is allocated at compiling time and dynamic memory is allocated at executing time of the program. 2. In static memory allocation, memory size can't be changed during execution of the program, it's size is fixed but in dynamic memory allocation, size of memory can be changed during execution of the program. 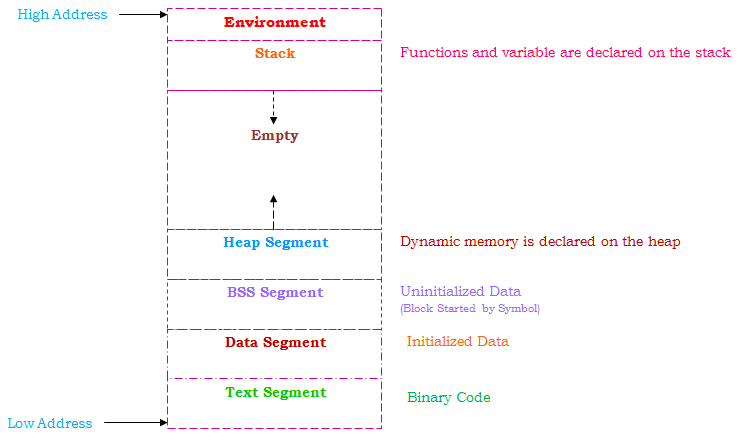 Memory layout of C program contains four segments are text or code segment, data segment, heap segment and stack segment. Every segment has its own ability to read, write and execute the statement. If a program does not attempt to access memory according to its capability, the segmentation fault is obtained. Program crashes due to the segmentation fault. Segmentation fault occurs when a program tries to read and write an illegal memory location. A dumbed core file is used by the developer to find the reason for a segmentation fault. The text segment is also known as a code segment. This segment contains the binary code of the compiled program. We cannot modify the program abruptly because this segment is a read-only segment. Data of program stores in the Data segment. Data segment divided into two sub-data segments: Initialized data segment and Uninitialized data segment. We can modify the value of the variables during run time of program because this segment is not a read-only segment. Uninitialized data segment stores all uninitialized static and global variables etc. These variables are initialized to zero by default. Heap segment is part of RAM memory. 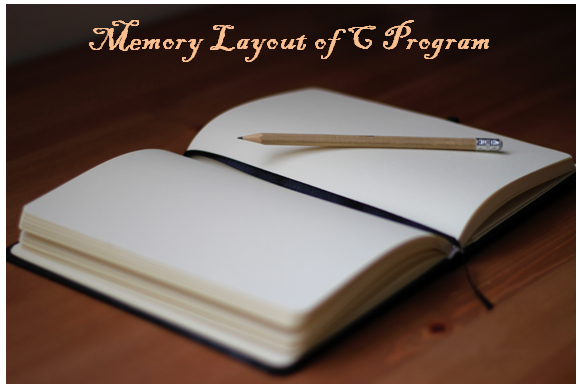 Memory is allocated during execution of a program. Dynamic memory is allocated with the help of malloc and realloc function in the C programming language. Heap segment grows in the upward direction as shown in the above figure. In the stack, elements are stored in last in first out manner (LIFO). Function variables are pushed onto the stack when called and variables are popped from the stack when return. Whenever a function is called a stack frame is created. Stack pointer tracks the address of the top of the stack. In an above program, add global variable. Now, We are going to initialize the static variable in a program and variable is stored in the data segment. Initialized the global variable and variable is stored in the data segment. The scope of variable means that where it is actually available in the program. What is the lifetime of the variable? Lifetime means how long a variable will stay in the memory. The lifetime of the variable also depends on the scope of the variable. What is the default initial value of the variable? The default initial value means that when we do not initialize a variable, what value does it store. We try to understand the types of variables with the help of a programming example. The variables that we declare before the main function or any function, we call them global variable. Global variable stays in the memory throughout the program. For example, In the program, the variable 'd' is a global variable. The scope of the global variable is the entire program. We can use the variable 'd' anywhere in the program. With the help of the program, we want to let you know that if we declare a variable, we can use it anywhere or in any function of the program. When we declared variable globally then the default initial value is considered as zero. And the variables that we have declared inside the function are called local variables. The scope of the variable is limited to function or block. For example, In the above program, the variable 'add', 'a' and 'b' is the local variable. Because of the variable 'c' is declared inside the main function and not declared inside the 'newfunction' then there is an error in the program because 'c' is the local variable. 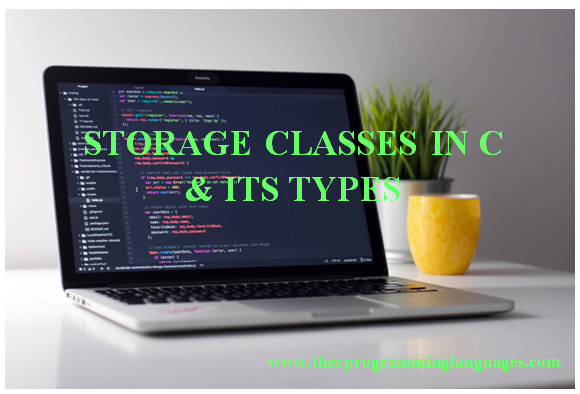 The variables that are defined inside the function or block is by default considered as a storage class in C. These variables are automatically finished when we come out of the function or block. The keyword 'auto' can be used to declare an automatic variable. These variables are stored in the stack memory. Scope: These variables are local to the function or block. Lifetime: Vanished when coming out of the function or block. Default initial value: Garbage value. In the above example, 'int a' and 'auto int b' are the same. If we declare a variable as static inside the function, then the variable remains until the program ends. If we declare a variable outside the function in a program, we can use this variable in the program not used in any other program. Lifetime: This variable remains until the program's execution is complete. Default initial value: Its initial value is considered as zero. The register keyword suggests the compiler that the variable is stored in the CPU register, not in the memory. Accessing of a register variable is faster than the normal variable. Lifetime: Till the end of function or block. We can't access the address of register's variable. Let's understand the extern variable with the help of an example. In the below-given program, the variable 'a' has been declared outside the function, so let's see what the compiler tells us about this program. As we have seen, the compiler said that the variable 'a' has not been declared. If we want to tell the compiler that the variable 'a' has been declared somewhere in the program, then we use 'extern' keyword. Scope: Global that means everywhere in the program. Lifetime: Till the program doesn't finish its execution. What are the Loops in C? What is the structure in C?